Replacing your home’s siding is no easy decision. Unlike fresh landscaping or paint, new siding will likely be a long-term commitment you’ll have to live with for many years to come. 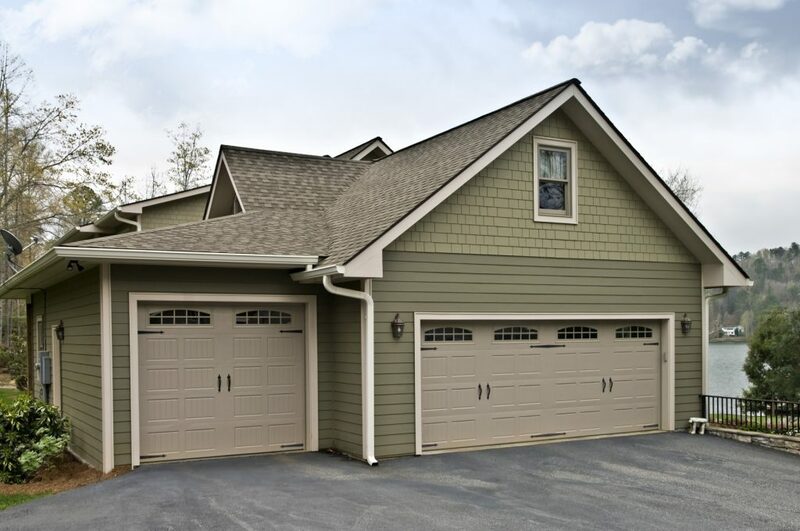 By choosing the right materials, color, siding contractors, and time of year to complete your siding installation, you’ll enjoy a beautiful home and pride of ownership every time you pull into your drive. On the other hand, making the wrong decisions can lead to headaches and lost money, especially if you’re trying to sell your home. When considering new siding, you need to first rule out whether or not it needs to be replaced entirely or a simple repair will do. If your home’s siding is simply suffering from minor hail damage or cracks, a few repairs from an experienced siding contractor or home improvement company may be all that is needed. However, if the cracks have been there for a while, water may have worked its way underneath, requiring complete siding replacement. The age of your siding should also be considered. If it’s from the 80s, 90s, or even earlier, chances are it’s brittle and more susceptible to cracking. Repairing a few panels here and there can add up over time, and the older your siding is, the more repairs you can count on needing. Matching the color to the outdated siding can also prove quite challenging. Siding materials should never be installed in the height of winter or summer. 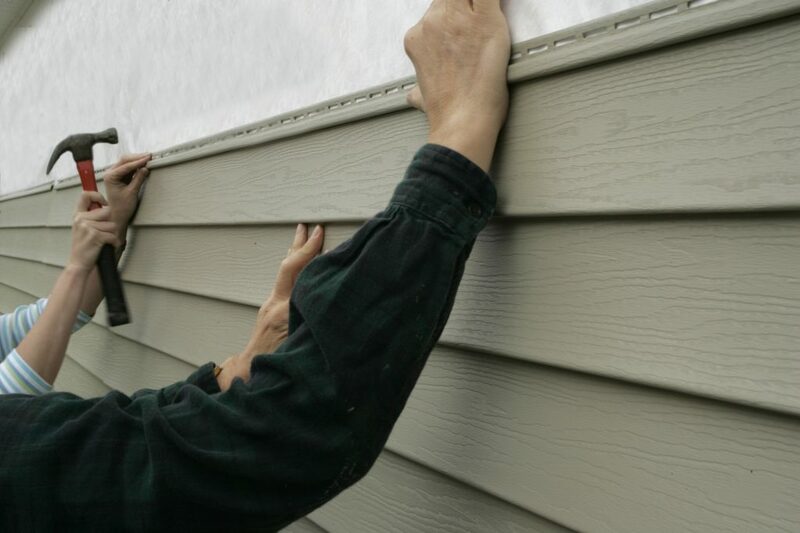 Since moderate temperatures are ideal, it’s best to plan your siding replacement for the Spring or Fall months. Before replacing your siding, you should also consider the state of your roof, gutters, and shutters. Many experts recommend performing roof repairs and replacements prior to installing new siding. Plus, having them done together may lower your overall costs. There’s a myriad of options when it comes to siding materials so how do you know which is best for your home. Below are some of the more popular siding options. Fiber Cement – Fiber cement looks great and will last a lifetime, making it the clear-cut winner for many of today’s homeowners. Vinyl – Vinyl siding is inexpensive and reasonably durable. Stone Veneer & Stucco – Using Stone Veneer & Stucco adds a touch of elegance and a sophisticated appearance to any home. Cedar – Cedar lap or shingles look great but become weathered by the elements over time. New siding can completely transform the appearance of your home and elevate its curb appeal to new heights. Not only will this make you feel great every time you pull into your driveway, but it also makes your home more attractive to buyers and boosts its value. In fact, it’s one of the best investments you can make in your home. That being said, the color you choose plays a big role in all of the above. When selecting the color of your new siding, drive around your neighborhood and others to see what they are doing? After all, while red front doors are great, you probably don’t want to be the only red house on the block. If you’re replacing your shutters, gutters, and/or roof as well, it’s also important to consider how the color of your siding will complement these features. If you have an HOA, it’s important to check with them as well to see which colors are approved for your neighborhood. Everyone loves saving money, so it’s only natural for some homeowners to want to go the DIY route and replace their siding on their own. While commendable, many of these situations often turn into DIY projects gone wrong. The truth is replacing a home’s siding can be complicated. In fact, special tools and years of experience are often needed to get the job done, let alone get it done right. Experienced siding contractors who know the ins and outs of exterior renovations can handle everything from A to Z and transform your home’s exterior in no time at all! First impressions matter. Siding is usually the first thing people notice when driving by or up to a home. With thoughtful planning and a great siding contractor by your side, your home will be rejuvenated, more valuable, and serve as a source of pride for many years to come.